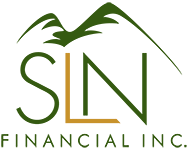 4 Practical Ways to Use Life Insurance | SLN Financial, Inc.
We get it—life insurance isn’t the most exhilarating topic. No one wants to talk about their own death. And because of that, a lot of people don’t consider it a priority in their finances. Yet, nothing could be further from the truth. Life insurance benefits your family when they need it most. Here are four (of the many) practical ways to put life insurance to use. Pay a mortgage. Make sure your spouse and family have the means to continue living their lives as normal as possible. Staying in their current residence definitely helps. Pay for college tuition. Life insurance can go a long way in helping your children achieve their academic goals. They’ll be extra thankful once that degree’s in-hand. Help your small business. A death benefit to protect small business partnerships can help your business continue to succeed even after you’re gone. It’ll provide stability and continuity should the unthinkable happen. Life insurance is a great way to secure your financial legacy to your loved ones. We can help you find the right life insurance policy to fit your needs and goals. Feel free to reach out to us and we’ll work with you to give your loved ones peace of mind.